To provide utmost satisfaction to our clients, we are engaged in delivering an optimum range of Expanded Metal Mesh at market leading prices. We are one of the illustrious manufacturers, exporters and suppliers of Expanded Metal Mesh, and we manufacture the mesh using the finest raw materials and modern equipment. 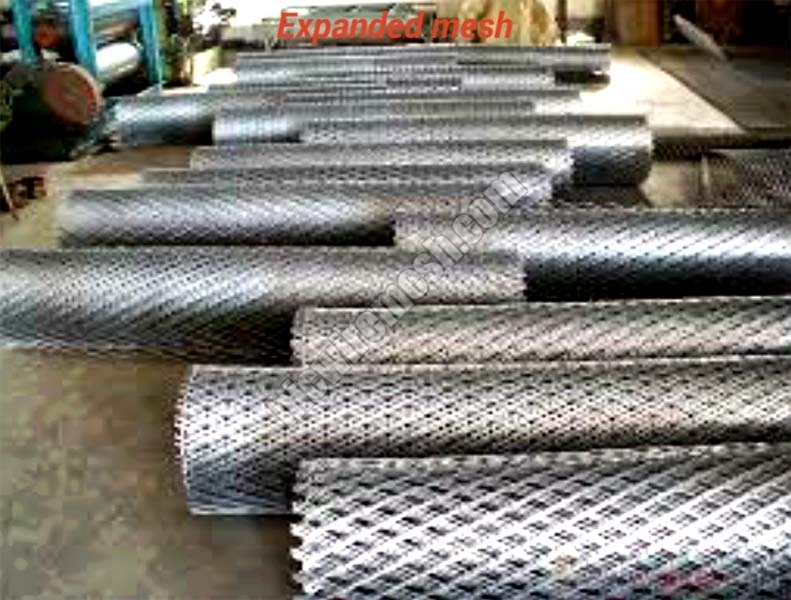 The Expanded Metal Mesh, supplied by us, is widely used in a number of construction, and other allied industries applications and the salient feature of the Expanded Metal Mesh is that these have excellent durability, promise high tensile strength and robust construction. We are located in Varanasi, Uttar Pradesh, India. Description : Expanded Metal means versatility. Versatile is the key word describing Expanded Metal. New applications are found for it every day in industry, offices and home. Expanded Metal allows the design professional to freedom to exercise maximum creativity. Available in different thickness and opening sizes, from micro or fine mesh to grating, Expanded Metal is produced in a variety of metals and other materials. It facilitates free flow of air, fluid or light where required and with Expanded Metal there is no scrap. Expanded Metal is produced in different forms in large variety of materials to suit wide range of applications both as filter elements and filter supports. The mesh is cut or perforated from metal sheet and is stretched to form a joint less grill in one piece with no interweaves or joints. Expanded Metal is made from sheets of solid metal that are uniformly slit and stretched to create diamond-shaped openings. As expanded metal is made, each row of diamond-shaped openings is offset from the next. This product is called standard expanded metal. The sheet can be rolled to produce flattened expanded metal. The lightweight properties and open area percentages of Expanded Metal allow it to be easily formed for a variety of energy saving applications, such as light diffusers, screens, grilles and filters. Expanded Metal is also manufactured in heavy gauges for applications such as walkways, ramps and catwalks of all types.